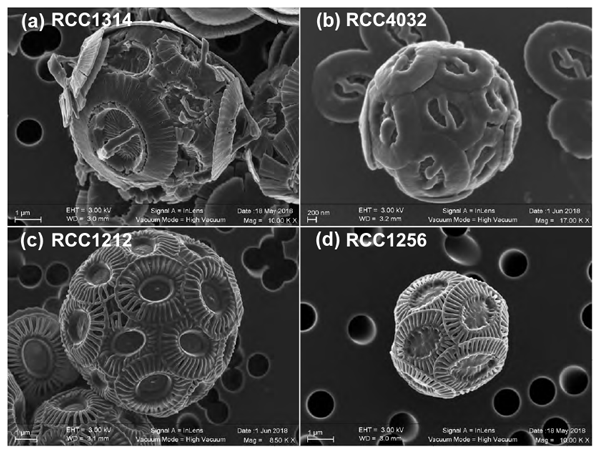 This work examines the effect of salinity changes on the biogeochemistry of the coccolithophores with a palaeoproxy perspective. 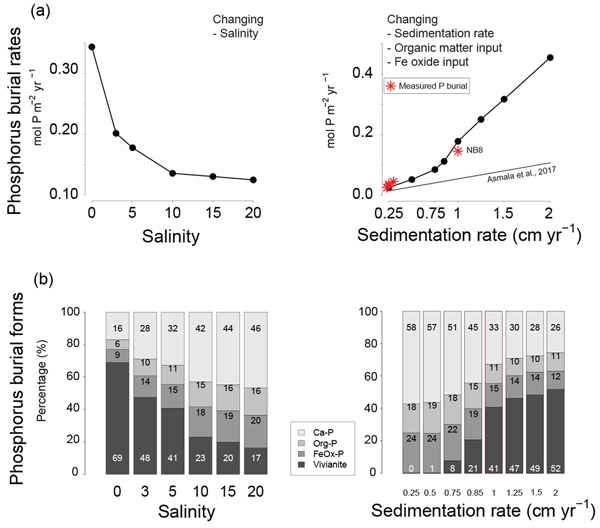 Although substantial changes in growth rate are observed between cells grown under various salinities, these physiological changes have no significant impact on the oxygen isotope composition of their biominerals. 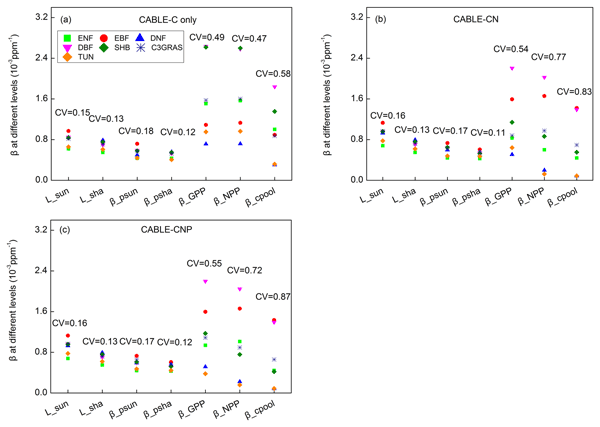 Thus, established coccolith δ18O / temperature calibrations are not complicated by salinity. By contrast, it does influence coccolith δ13C values. We interpret detailed SEM and time-lapse observations of the calcification process in living foraminifera, which we reveal to be directly linked to the construction mechanism of organic membranes where the calcium carbonate precipitation takes place. We show that these membranes are a highly perforated outline is first woven by skeletal pseudopodia and then later overlaid by a layer of membranous pseudopodia to close the gaps. The chemical composition is related to these structures. Efforts to include tidal marsh, mangrove and seagrass ecosystems in existing carbon mitigation strategies are limited by a lack of estimates of carbon accumulation rates (CARs). We discuss the use of 210Pb dating to determine CARs in these habitats, which are often composed of heterogeneous sediments and affected by sedimentary processes. Results show that obtaining reliable geochronologies in these systems is ambitious, but estimates of mean 100-year CARs are mostly secure within 20 % error. 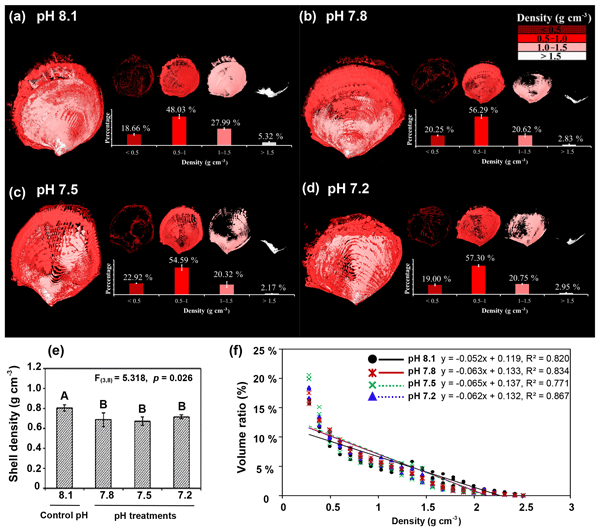 The paper revealed a potential structural deterioration induced by ocean acidification on the shells of an ecologically and economically important oyster, which is critical to forecasting the survival and production of edible oysters in the future ocean. Importantly, this is a multidisciplinary collaboration including aquaculture, crystallography, medical and materials science, which could be applied to other biomineral systems to hierarchically analyse the impact of ocean acidification. The carbon cycle is a key control for the Earth's climate. Every year rivers deliver a lot of organic carbon to coastal seas, but we do not know what happens to this carbon, particularly in the tropics. 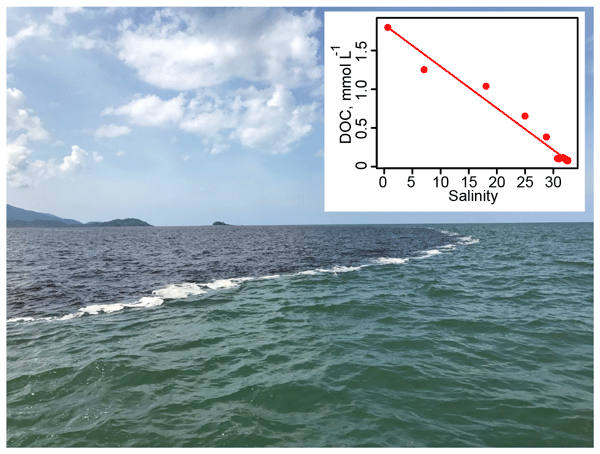 We show that rivers in Borneo deliver carbon from peat swamps to the sea with at most minimal biological or chemical alteration in estuaries, but sunlight can rapidly oxidise this carbon to CO2. 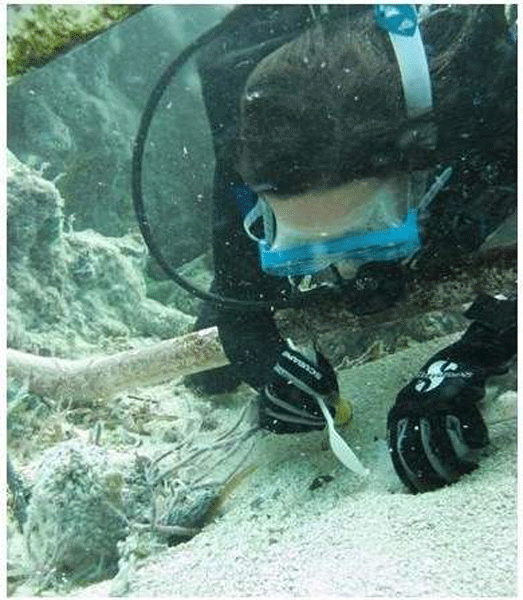 This means that south-east Asian seas are likely hotspots of terrestrial carbon decomposition. 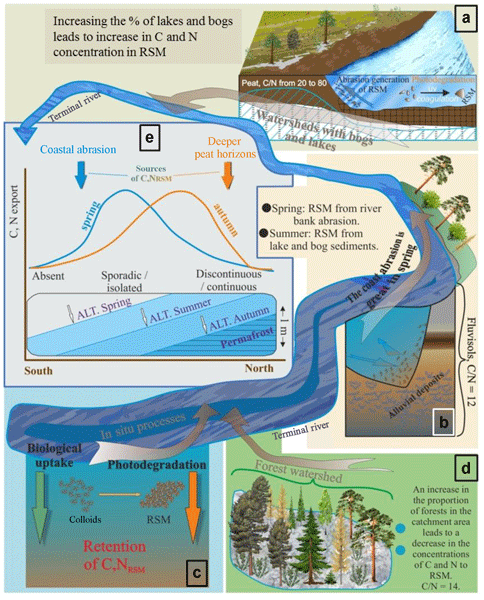 We tested the effect of climate, permafrost and physio-geographical landscape parameters on particulate C, N and P concentrations in small- and medium- sized rivers in the Western Siberian Lowland (WSL). We discovered a maximum of particulate C and N concentrations at the beginning of the permafrost appearance. A northward shift of permafrost boundaries may increase the particulate C and N export by WSL rivers to the Arctic Ocean by a factor of 2. 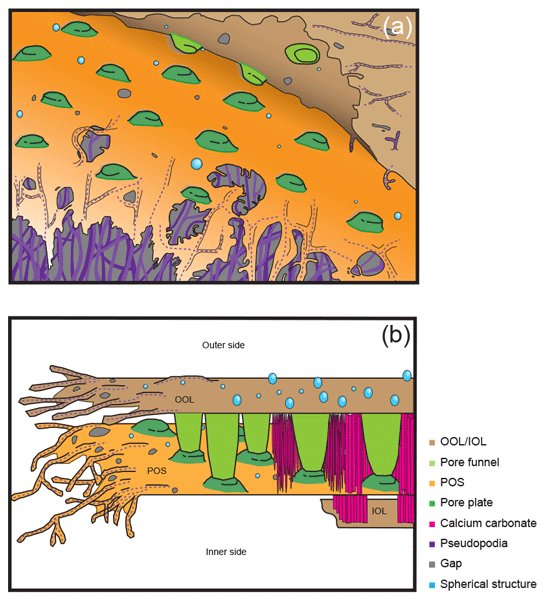 Non-structural carbohydrates (NSCs), which play a central role in a plant's life processes and its response to environmental conditions, are typically not included in terrestrial biogeochemistry models used in Earth system models (ESMs). 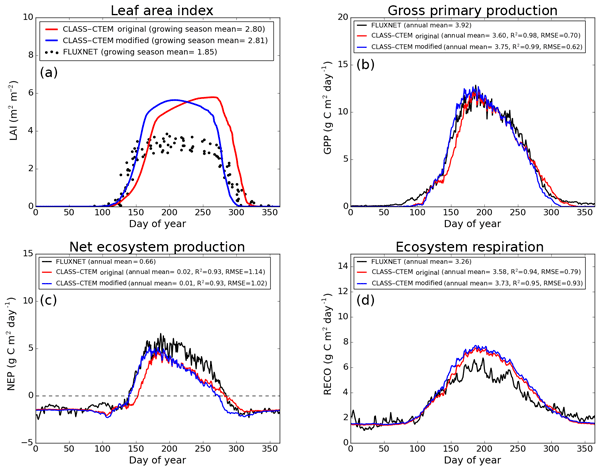 In this study, we include NSC pools in the framework of the land component of the Canadian ESM and show how they help address the long-standing problem of delayed leaf phenology. Land-surface models have been widely used to predict the responses of terrestrial ecosystems to climate change. 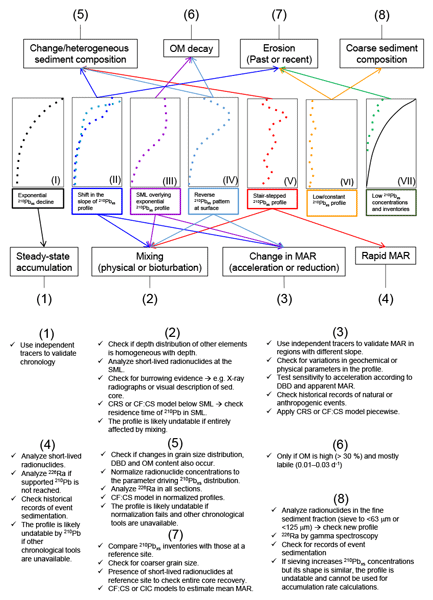 A better understanding of model mechanisms that govern terrestrial ecosystem responses to rising atmosphere [CO2] is needed. Our study for the first time shows that the expansion of leaf area under rising [CO2] is the most important response for the stimulation of land carbon accumulation by a land-surface model: CABLE. Processes related to leaf area should be better calibrated. In contrast to phytoplankton, ocean acidification's (OA's) effects on bacterioplankton are poorly understood. Microcosm experiments to assess bacterioplankton's response to organic matter obtained under current and future CO2 levels were performed. 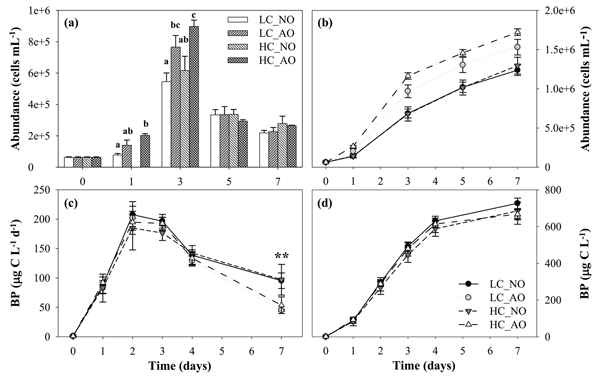 An analysis of bacterial abundance, production, respiration, viability and changes in DOM concentration showed that OA affects bacterial metabolism through changes in the organic matter more than directly affecting future CO2 concentration. We show that burial rates of phosphorus (P) in an estuary in the northern Baltic Sea are very high. We demonstrate that at high sedimentation rates, P retention in the sediment is related to the formation of vivianite. With a reactive transport model, we assess the sensitivity of sedimentary vivianite formation. 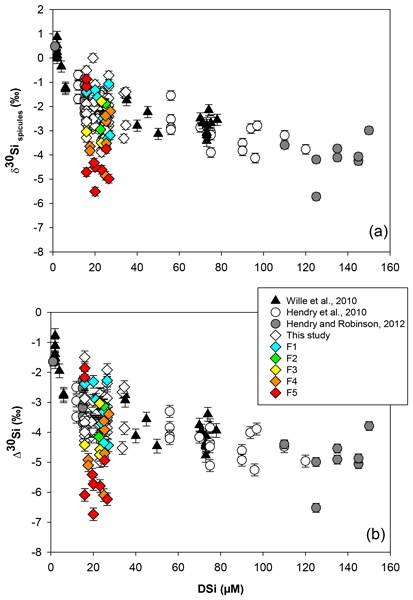 We suggest that enrichments of iron and P in the sediment are linked to periods of enhanced riverine input of Fe, which subsequently strongly enhances P burial in coastal sediments. Using a regional ocean model, we find that coccolithophore biomass in the Southern Ocean is highest in the subantarctic in late summer when diatom growth becomes limited by silicate. We show that zooplankton grazing is crucial to explain phytoplankton biomass distributions in this area and conclude that assessments of future distributions should not only consider physical and chemical factors (temperature, light, nutrients, pH), but also interactions with other phytoplankton or zooplankton. 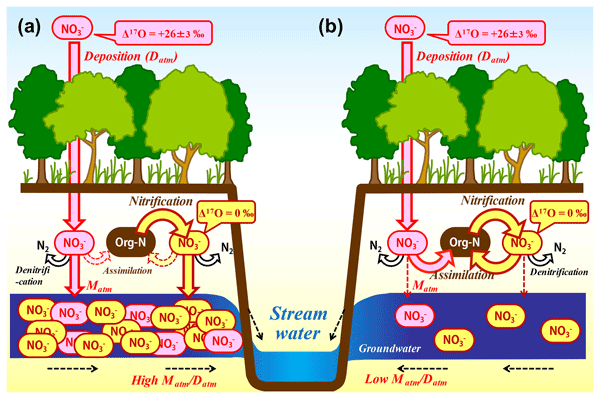 To clarify the biological processing of nitrate within temperate forested catchments using unprocessed atmospheric nitrate exported from each catchment as a tracer, we continuously monitored stream nitrate concentrations and stable isotopic compositions in three forested catchments for more than 2 years. 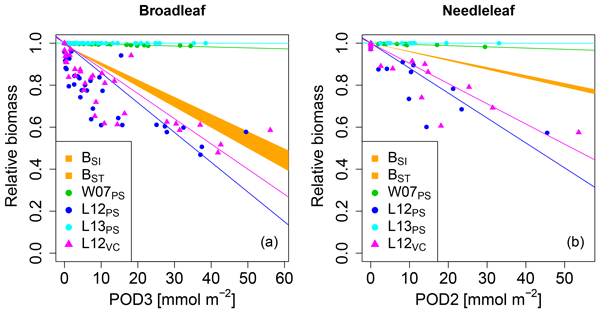 We concluded that the export flux of unprocessed atmospheric nitrate relative to the deposition flux in each forest ecosystem is applicable as an index for nitrogen saturation. Our laboratory study shows how microhabitat formation linked to soil aggregates, litter accumulation and plant soil interactions affects conditions under which hot moments of enhanced N2O emissions from floodplain soils during the drying phase after saturation occur. Larger aggregate size led to higher integrated flux rates when soil was unamended or mixed with leaf litter, whereas planting with willow significantly reduced emissions. Also, emission time patterns differed among the treatments.